First internship programme of Transparent Hands was successfully completed on 18th September 2018. The programme offered university students the opportunity to gain experience and exposure to different social media practices. The three-month internship programme ran from June 18 until September 18, with the participation of 5 female students. The internship programme concluding event was held on 18th September, 2018. 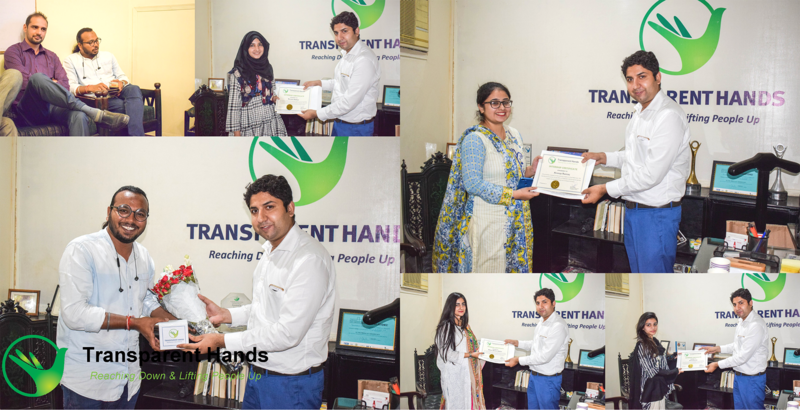 All the interns were given certificates for their tremendous efforts towards Transparent Hands. The programme concluded with a motivational session by the famous singer and writer Mr. G. M. Shah followed by feedback session from all the students.